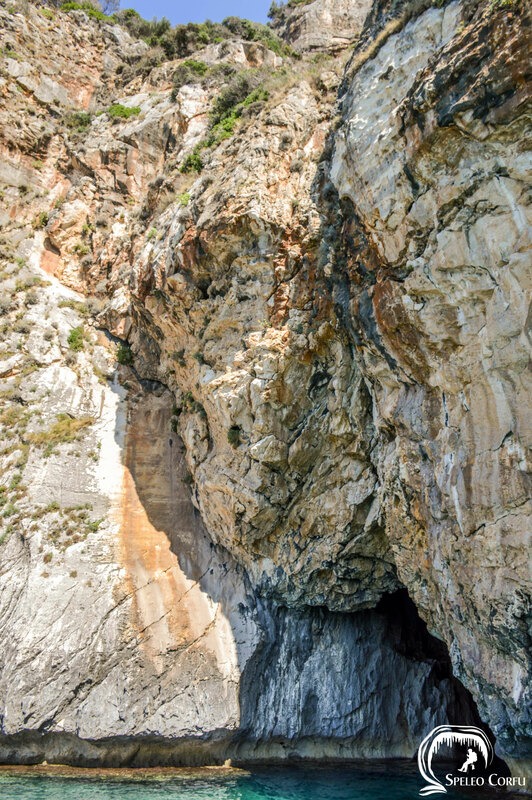 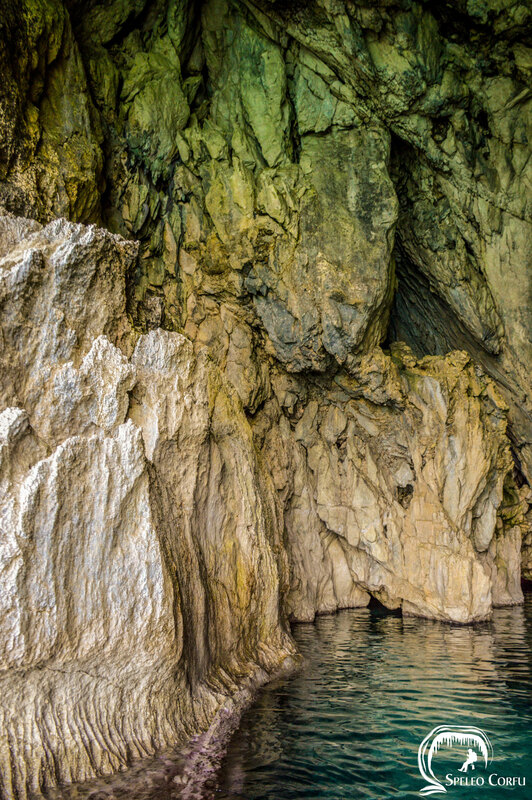 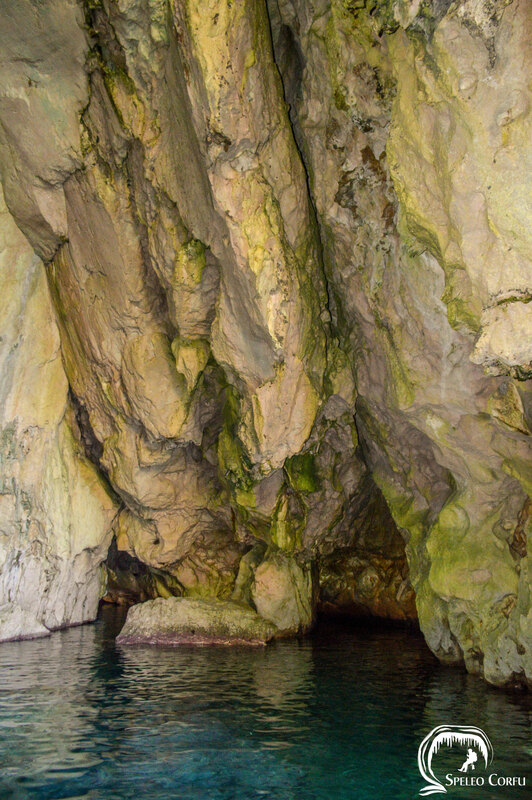 Green cave Ermones - Website about caves on the island Corfu. 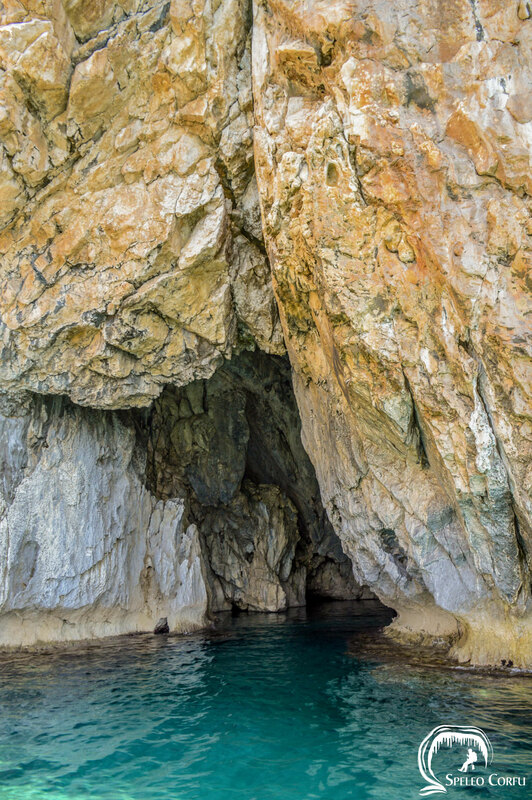 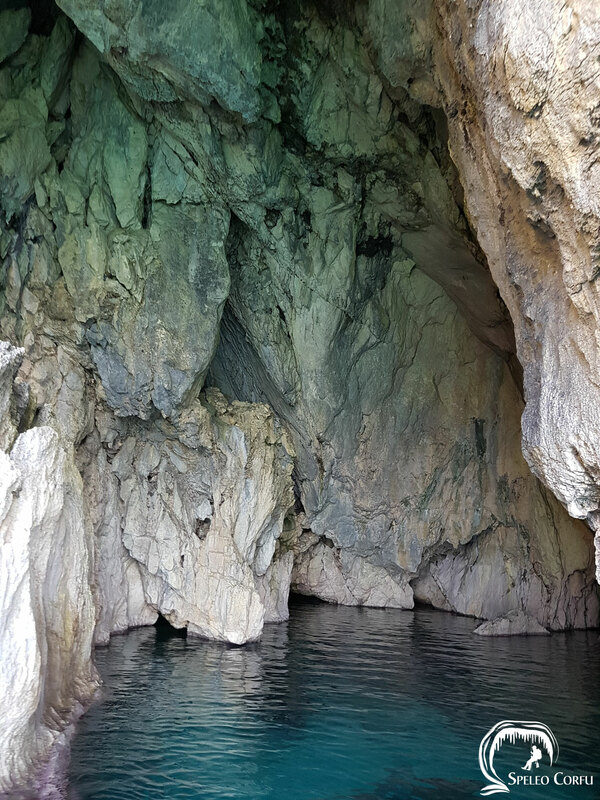 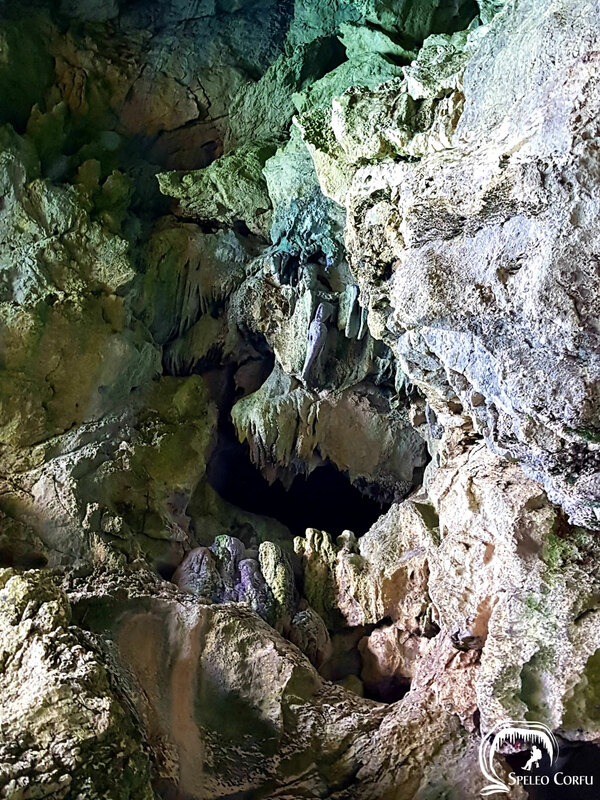 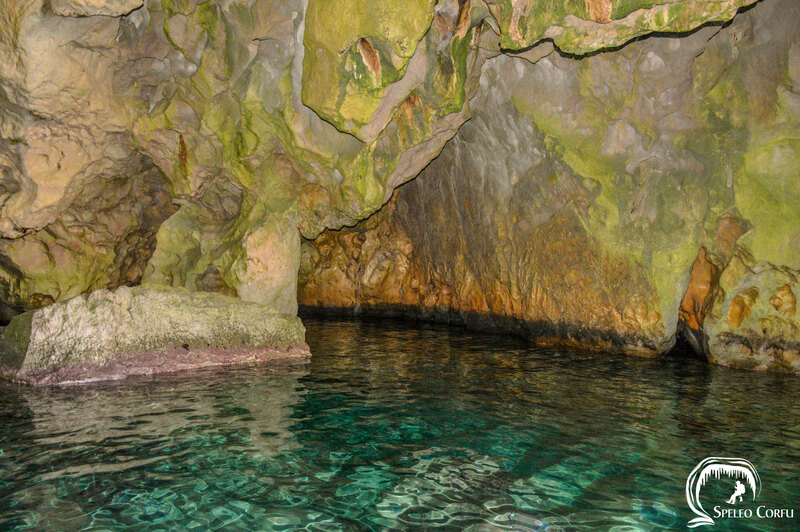 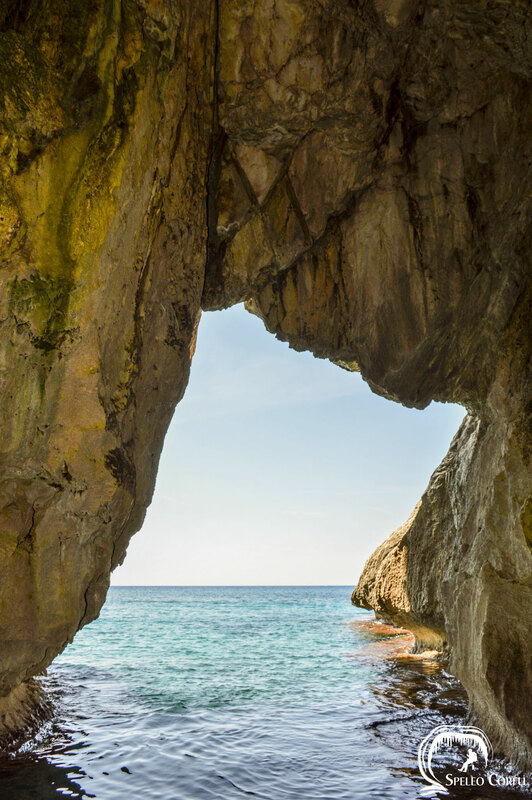 Between Antipsos beach and Giali beach a green coloured karst cave is located. 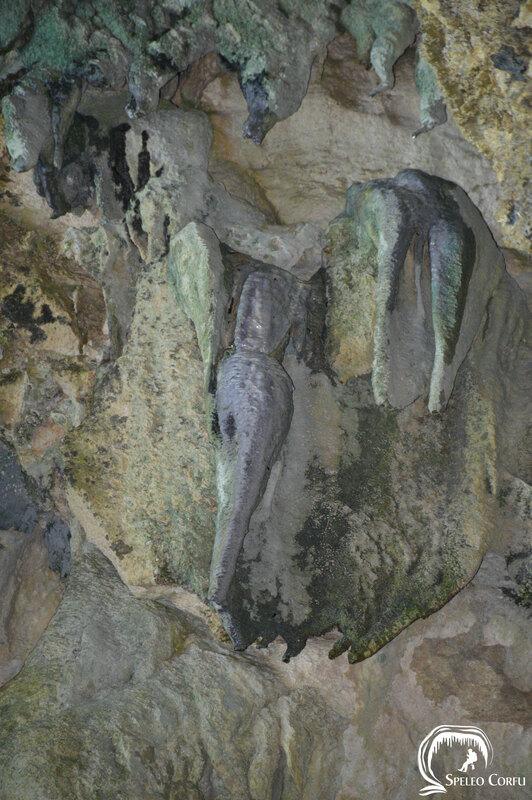 In the main room of the cave two tunnels go 50 metres deep. 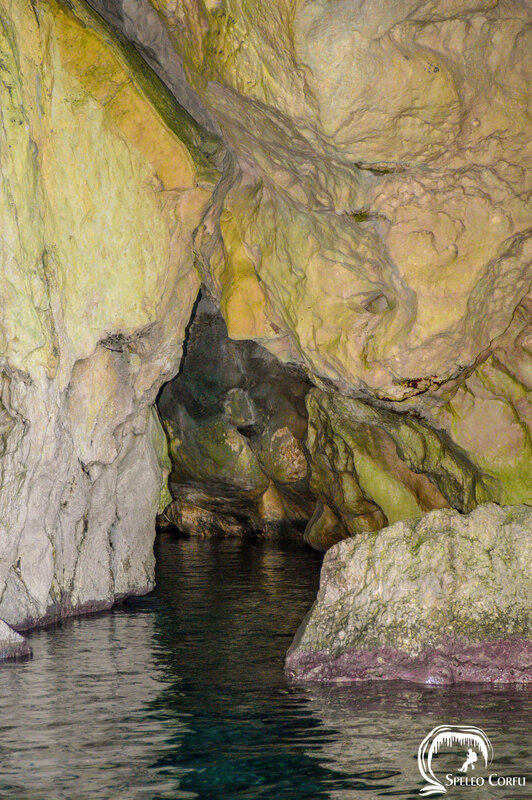 Under water both tunnels are connected.